My weight has been a roll butercoaster ever since I fell pregnant with my first child. I’ve never been happy with what I weigh, but at the moment I am the heaviest I’ve been, which doesn’t make me happy at all. I am currently a Slimming World member and on a weight loss journey. I want to change my eating habits and try my best to change my lifestyle too. As I work from home, I know I don’t move around enough, which isn’t good. I definitely need to move around more than what I do, even if it’s just going an extra 10 minute walk after the school run or walking the long way home, I do need to start to make a change. I was obsessed with walking at one point, and I felt a change in my mind and my body. I was toning, as I was doing some home workouts too, but having the fresh air outdoors helped my moods a lot. But having three children is hard work and having to work from home, it can just be a little too much at times to try and balance it all out. That’s what I struggle with, but I need to set myself little targets and that will help me slowly change my lifestyle. 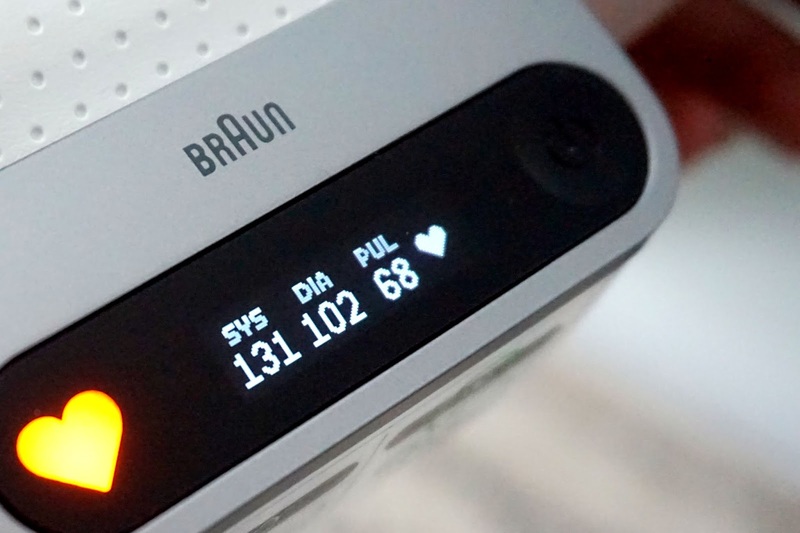 Braun has set me a little challenge to assess my lifestyle by analysing my blood pressure. Something I haven’t been keeping an eye on is my blood pressure – something I should be doing because high blood pressure runs through my family, my Dad and Nain has it. Braun sent me their iCheck7 Wrist Blood Pressure Monitor to test out and see how my blood pressure improves in the next couple of weeks of changing my lifestyle. I’m really looking forward for the challenge. My eating habits have already changed and has slightly improved my mind to feel better. However, like I had said above, I do need to move around more and I do think that will definitely improve my blood pressure. At the moment, it’s a little high, but nothing to worry about. It would be interesting to see what happens when I am stressed, I easily get stressed out over the littlest things. It’s something that’s worsened since having my three kids and I can’t seem to control it. The iCheck7 is a blood pressure monitor you can easily put on your wrist. It’s the perfect size to just keep away if needed and take out when needed. It doesn’t take a lot of space at all. It’s very simple to put on your wrist and start up by just a click of a button. 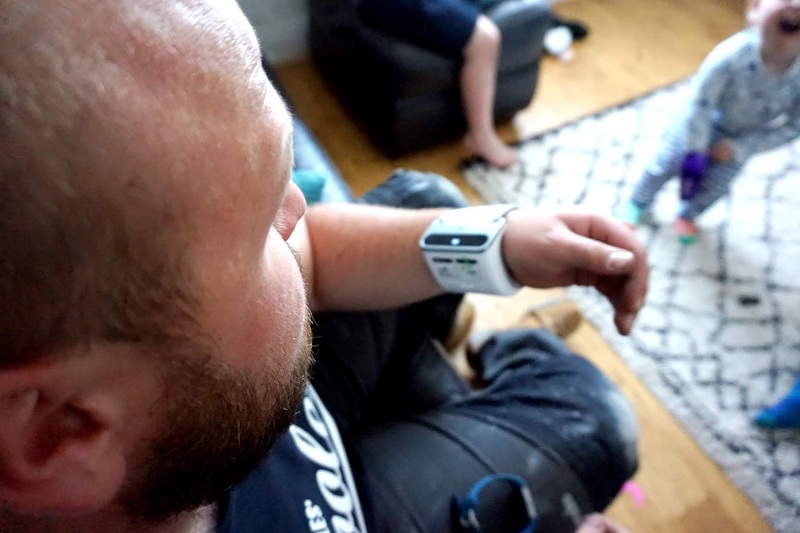 When you have clicked the button all you need to do is get your wrist in the right position and you will have a guide on the monitor screen to help you get the right position. The results are colour coded which can help you understand your results. The colour codes are from green to red. Not only is this easy to do, but they also have a free app you can download. Your results then go on to the app which is really easy to understand. It uses graphs and charts so you can easily understand your results and keep track of your health. Not only does it store your results for you, but you are also able to keep on track of your lifestyle too. You can add your sleep, stress and exercise daily. The app makes it easier for you to understand your health and lifestyle and it can give you better details to tell your doctor if you ever need to visit the doctors regarding your blood pressure or any other related health issues. I am really looking forward to changing my lifestyle and moving around more. I am planning on trying to balance my work days and taking a couple of days off a week to go for a walk or do some home work out while Freddie naps instead of sitting on my laptop working. Even if it’s an extra 20 minutes a day, it’s a start to a healthier lifestyle. Keep an eye out for an update in the next couple of weeks to see how I am getting on. 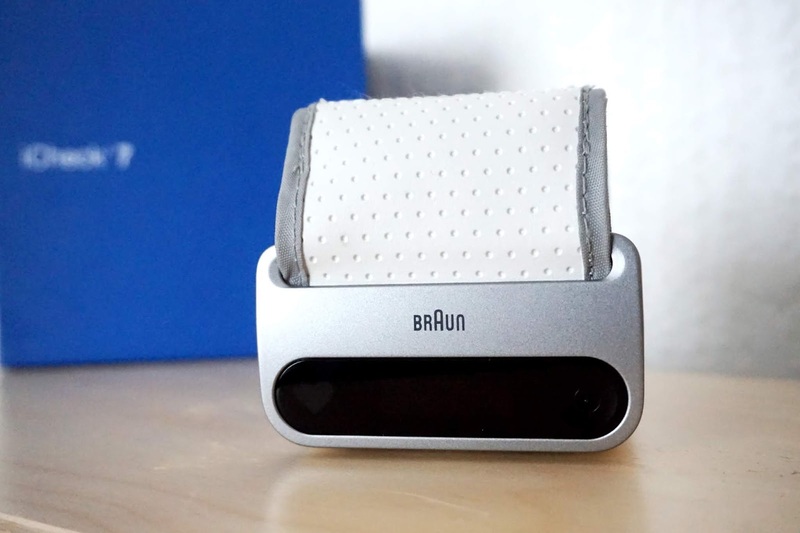 · * We are currently working with Braun on their campaign. However, all words, opinions and images are entirely our own. This looks great! This looks like a great idea for anyone who is at risk for pre-eclampsia too! Oh that's an interesting gadget! I would never have thought of having regular blood pressure readings to assess my health on a daily basis. Brilliant! I am a big fan of Braun products. Sounds like a great gadget.